As baby boomers reach retirement age, their medicine cabinets seem to become more and more crowded with all the medications needed to fight off the infirmities of old age. Blood pressure, heart problems, aches, and pains increase with every passing year and so do the visits to the doctor. Unfortunately, the AARP generation apparently isn't being warned about the effects that these medications may have on their ability to drive safely. Older drivers have the highest collision rate per mile traveled because they tend to drive fewer miles and remain close to home. Due to chronic medical conditions, older adults are often forced to take multiple medications that can potentially impact their ability to drive. A recent survey found that medication use increases with age with 44% of men and 57% of woman aged 65 and older using five or more medications weekly. The rate of older adults using multiple medications has increased from 54% in 1998 to 67% in 2003. Research has reported that increased number of medical conditions is associated with increased risk of motor vehicle crashes among older adults. "The majority of those surveyed (92%) said driving was their preferred mode of transportation and 60% said they drove six or seven days per week. 95% of respondents reported having had one or more medical condition and respondents 75 and older reported the most medical conditions as well as taking the greatest number of potentially driver impairing medications. 78% of respondents reported using one or more medications, but only 28% acknowledged some awareness of the potential impact of these medications on driving performance. 19% of respondents reported using five or more medications and 12.1% reported taking five or more prescription medications. Only 18% had received warnings about potentially driver impairing medications - include ACE inhibitors, sedatives, and beta blockers - from a healthcare professional. However, 69% currently use one or more prescription potentially driver impairing medication and 10% said they currently use five or more potentially driver-impairing medications. Of those using five or more potentially driver impairing medications, just 22% said they had some awareness of the potential impact on driving and only 19 percent received a warning from healthcare professional." Older drivers and those with less education appeared to have the least awareness of the risks. These findings are disturbing because it shows that health care professionals aren't taking the time to warn of the potential risks involved in these medications and those taking the medications aren't asking those critical questions. Many people don't realize that commonly prescribed and over-the-counter (OTC) medications can affect their ability to drive safely. Some may feel that these medications wouldn't be prescribed or deemed safe for sale over-the-counter if they posed any dangers however, under some conditions, a driver can be arrested for DUI when driving under the influence of these medications. The study specifically addressed commonly prescribed medications such as beta blockers, ACE inhibitors and sedatives. As people age they often encounter sleep problems and are sometimes prescribed sedatives. Sedatives obviously can affect driving and users should see how they react to the drug before driving. There have been reports of users of Ambien, a prescription sleep aid, walking, driving, and making midnight phone calls with no memory of the event the next day. Common over-the-counter allergy and cold relief medications such as Benedryl cause drowsiness and can have as great an impact on your driving as alcohol. Often, older people are prescribed different drugs from different doctors with no knowledge of how those medications may react with the other medications they are taking. 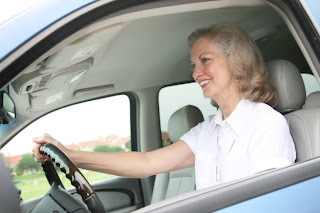 Older drivers should inform their doctors of all the drugs they are taking and ask how those drugs may interact with others and what effect the medications may have on their driving. Concerned family members should get involved and help older relatives compile a list of their medications and ask about the side effects. Pharmacists are also an excellent resource and sometimes may have an even better understanding of the medication's side effects than the physician. Pharmacists can keep a list of the medications you are taking and can warn of possible drug interactions and side effects. It is always best to check with your physician or pharmacist but there are also on-line resources that can be of help. One of the best is http://www.drugs.com/. This free web site allows you to enter all your medications and lists side effects and possible interactions with other drugs you are taking that may affect your driving. You can also request to be notified by email of any Food and Drug Administration alerts on your medications. Almost all of the common medications that older people take have warnings about consuming alcohol while taking the medication. Mixing alcohol and medications can have a increased impact on driving abilities and can cause a drug interaction that could be fatal.